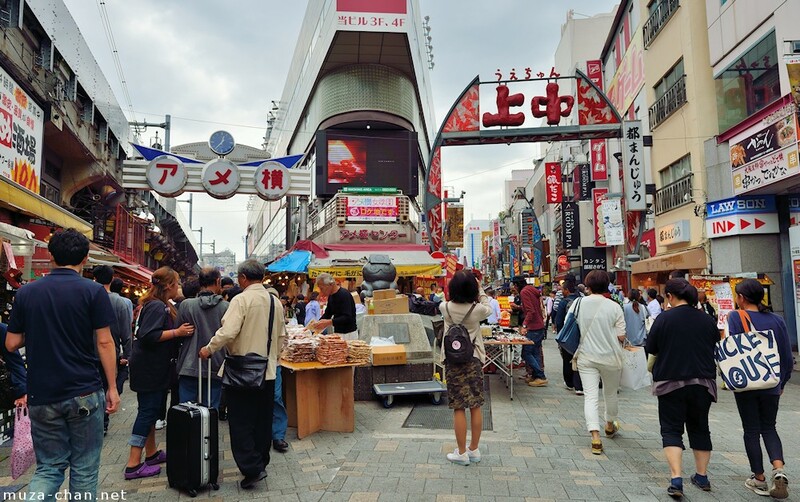 Established after the end of the World War II, Ameyoko was originally a black market, similar to Akihabara. While in Akihabara the products were mainly electrical appliances, in Ameyoko the main attraction was the sweets. And the sweets were mostly imported from America, hence the original name of Ameya-yokocho アメヤ横丁, which can be translated as “Candy store alley", but Ame also means America.